It’s hot. But it may not be the new normal yet. Temperatures are still rising. This summer of fire and swelter looks a lot like the future that scientists have been warning about in the era of climate change, and it’s revealing in real time how unprepared much of the world remains for life on a hotter planet. And dozens of heat-related deaths in Japan this summer offered a foretaste of what researchers warn could be big increases in mortality from extreme heat. A study last month in the journal PLOS Medicineprojected a fivefold rise for the United States by 2080. The outlook for less wealthy countries is worse; for the Philippines, researchers forecast 12 times more deaths. Even in a good year, much of the Rio Grande is diverted for irrigation. But it’s only August, and the river is already turning to sand. Starbucks will stop using disposable plastic straws by 2020, eliminating more than one billion straws a year, the retailer announced on Monday. Instead, Starbucks, which has more than 28,000 stores worldwide, will use recyclable, strawless lids on most of its iced drinks. The Frappuccino is the one exception: It will have a straw made from either paper or compostable plastic. In the United States alone, an estimated more than 500 million disposable plastic straws are used every day, according to Eco-Cycle, a nonprofit recycling organization. Although plastic straws are made from polypropylene, a recyclable plastic, most recyclers won’t accept them. Even trusting your local weather announcer is political these days. Take the battle in Congress over the renewal of a grant to help television meteorologists incorporate climate change into their weather reporting. Four Republican senators have called for an investigation, calling it indoctrination. Democrats last week moved to protect the funding, which is administered through the National Science Foundation. Scientists who work with meteorologists on climate change dispute the accusations. Edward Maibach, director of the Center for Climate Change Communication at George Mason University, whose research center helps distribute the grants, noted that climate change is established science and that most Americans acknowledge that. We think it’s pathetic and sad that we have 4 Republican Senators who are so opposed to the proven science behind climate change that they trying to effectively censor meteorologists on TV. Wake up, people! 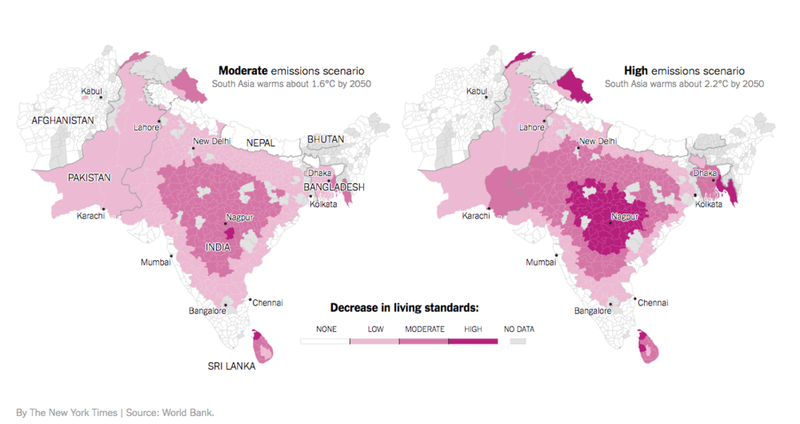 Climate change could sharply diminish living conditions for up to 800 million people in South Asia, a region that is already home to some of the world’s poorest and hungriest people, if nothing is done to reduce global greenhouse gas emissions, the World Bank warned Thursday in an ominous new study. The study looked at all six countries of South Asia, where average annual temperatures are rising steadily and rainfall patterns are already changing. It concentrated on changes in day-to-day weather, rather than sudden-onset natural disasters, and identified “hot spots” where the deterioration is expected to be most severe. You can read the full story here: https://goo.gl/YwZYxX. One study says a giant wave of plastic garbage could flood the U.S. If Europe and the rest of the world struggle like the United States, according to the study by researchers at the University of Georgia released Wednesday, an estimated 111 million metric tons of plastic waste will pile up by 2030. 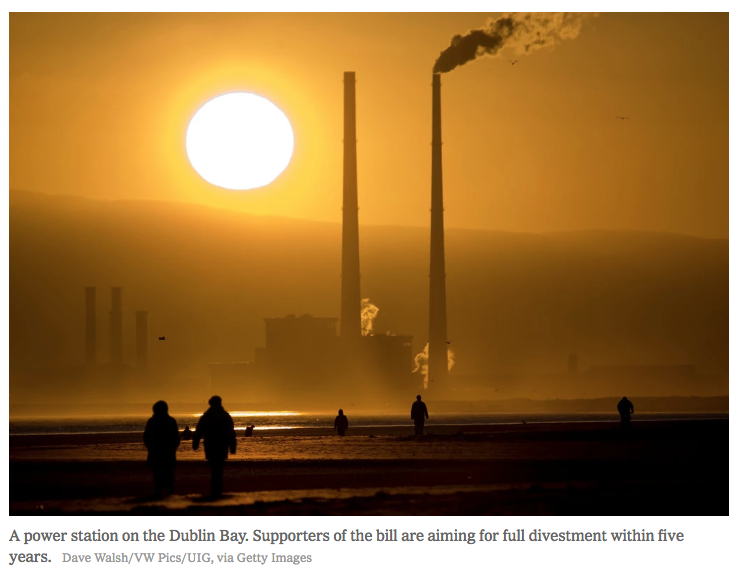 Ireland Moves to Divest From Fossil Fuels!! Yay Ireland!! Yay Ireland! You go, Girl! A bill passed in the lower house of Parliament was a victory for the global divestment movement! Ireland moved to pull its public funds out of fossil fuels, a development that marks the most significant advance to date for a divestment campaign pushed by environmentalists worldwide! An aide to Thomas Pringle, the member of Parliament who proposed the measure, said that when the bill becomes law, Ireland will become the first country to formally pledge to divest from fossil fuels. Let’s all buy a Guinness and raise a glass to Ireland! Spoiler Alert! 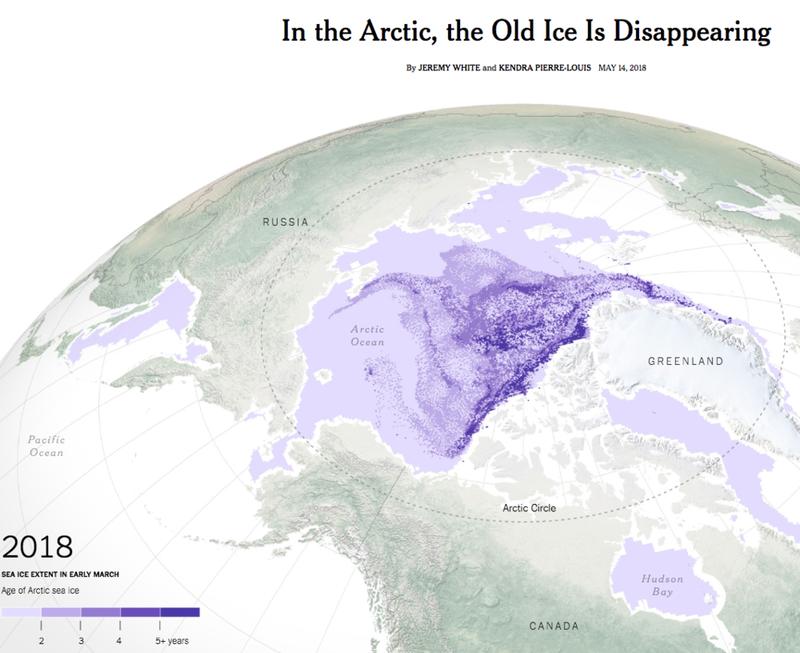 In the Arctic, the "Old" Ice Is Disappearing!! Some of the new ice melts each summer, but some of it lingers to grow thicker over the following winter, forming second-year ice. The next summer, some of that second-year ice survives, then grows even thicker and more resilient the next winter, creating what is known as multiyear ice. 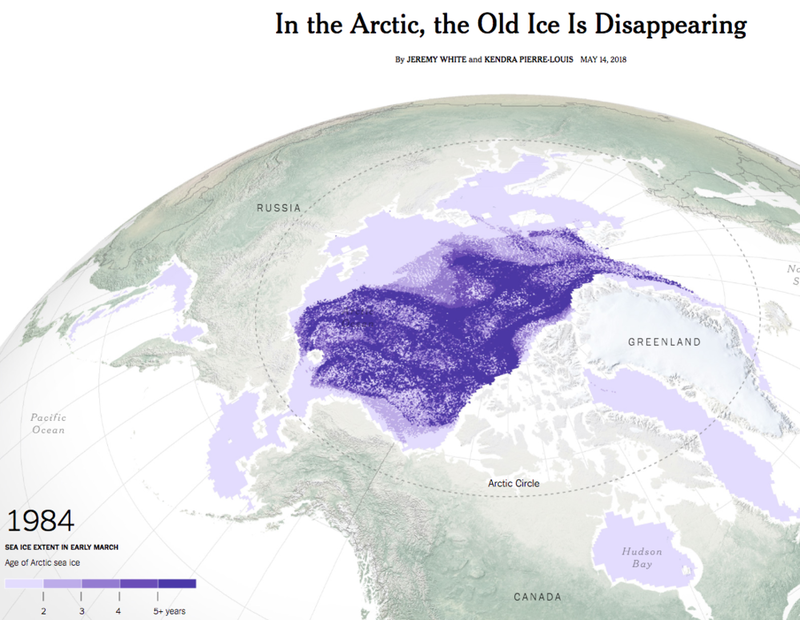 Some ice used to last more than a decade. Back in 1984 approximately 25% of the Arctic’s ice was older than 5 years when March rolled around. Fast-forward to 2018 (only 34 years later), and less than 5% of the Arctic’s ice is older than 5 years come March. That’s an 80% drop in 35 years! Scary news, folks. Go see the Arctic before it’s gone forever…and wear a One World Bracelet on your trip and send us a pic! California and a coalition of 16 other states and the District of Columbia sued the Trump administration over its plan to roll back greenhouse gas emissions standards for cars, trucks and S.U.V.s. The problem for California is that they need to lower vehicle emissions if it wants to achieve its ambitious climate change goals. The Trump Administration are making that effort at the state level twice as hard.